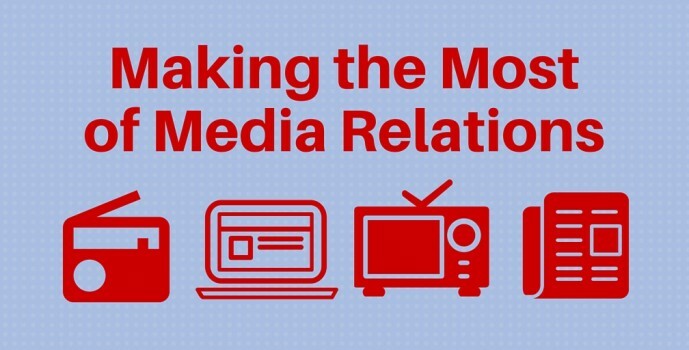 Without public relations professionals, news outlets couldn’t put content out. That nod to the hard workers of our profession came from Tina Karagiannis, assignment manager at Bay News 9, during last year’s Media Roundtable hosted jointly by the Tampa Bay chapters of FPRA and PRSA. Each year, this event gives PR pros the chance to mingle with key players from local media outlets to discuss pet peeves, relationship building and the finer points of media relations. As we gear up for this year’s Media Roundtable on June 23, here’s a look back on some of the best pieces of advice shared during last year’s talk. ● Think about all the formats media outlets offer. Your story might not make the 6 o’clock news, but it might make the media outlet’s website or blog. ● Always look for that local angle. Even if your client is national, give your pitch a local element. ● Accept that there are going to be some days when your pitch doesn’t stand a chance. On days when big news is breaking and reporters are scrambling to cover it, you can expect that your unrelated pitch will not be on their radar. ● Don’t make it too dense. News release format depends on what you’re pitching, but bullet points are good. ● PDFs are not OK. This is a big no-no. Do not send news releases as PDFs. ● Know reporters’ deadlines and be respectful of them. If you want your information included in a story, get back to the reporter in time. On the flip side, do not call to chat when a reporter is on deadline. ● Be smart when using Twitter. If you’re going to reach out to a reporter on Twitter, use a private message because your Tweet could get lost in the feed. ● Don’t drown a reporter in emails. Reporters get so many emails, make yours count. Don’t send so much and so often that you get known for that. ● Reporters want to meet people. Engage with the reporters who cover your industry. Consider inviting them to coffee. ● Personal relationships matter when pitching. Don’t think about media outlets as institutions. Think of them in terms of the individual human beings who work there. ● In crisis management, come clean upfront. Letting bad news out in dribs and drabs keeps the story going longer. What does the future hold for journalism? As Matt Brown of ABC Action News explained: We may not know what form it will take, but there’s a long future ahead for journalism. And as PR professionals, we must continue to evolve to meet the needs of reporters and editors as they brave this ever-changing landscape. We appreciate the journalists who took time out of their busy schedules last year to share these tips, and we are looking forward to another insightful round this year on June 23 at the Centre Club in Tampa. Register today!